When was the last time that you did something that made you really, really, REALLY proud of yourself? I remember the first time I tied my own shoes when I was a little girl; for a six year old, it was literally one of those moments when it seems like the clouds part and a ray of sunshine shines just on you. I was walking on air from that for days. I played the lead in an 8th grade musical (“Once on This Island”, in case there are any theater nerds out there like me) and when the sound system suddenly and unexpectedly cut out, I sang my solo song completely accappella. And I nailed it. Got an ovation and everything. That made me feel pretty good. I made Dean’s List for nearly every semester of my undergrad college years…all while holding down 2-3 jobs (I have no idea how I did this now that it’s over, by the way). My mom has a specific, rare smile that when she gives me, makes me feel like I can do absolutely anything in the world. There’s nothing wrong with having those moments of pride; most people spend too much time obsessed with the things that they haven’t done, or are doing wrong. I think we should think more about the things that we’re actually doing right. So why don’t we try to think of the last moment of extreme pride or satisfaction that we had because of something we did. Think of it, then give yourself a pat on the back. Do your own little personal victory dance. Go ahead- you deserve it. These days, most of my moments of pride or self-congratulations come from me doing something new and intimidating in the kitchen, so this exercise is pretty easy for me to do. I was proud the first time I cooked something that came out of a box. I was proud when I first made a yeast bread. I was proud when I first made my grandma’s caramel cake (just WAIT until I share that one with you all, you will die, go to Heaven, then come back to life just to eat it again. No, I’m serious.). Doing new things in the kitchen is such an easy stroke to my ego- there’s no shame in my game about that, either. It’s most likely the reason that I try to do it often. This is one of those things that I’ve done that just made me feel friggin fantastic about myself, to the point where I felt like I had to share it with you. I’m still giving myself victory dances, high fives, pats on the back and major props for pulling this recipe off, guys. Not just because of how it tastes (which is enough on its own, believe me), it’s also because this is the very first time that I made my own from scratch pie-crust. A very big pie crust at that. As in a 15 x 10 inch double layer pie crust. Pie crust may seem like it’s not that big of a deal to pull off from scratch, but anyone who’s made one before will tell you that it’s actually more complicated than it sounds. Like biscuits, pie dough has to be handled with finesse and care, or there’s a huge potential to ruin it. Which is probably why I’ve avoided it so stubbornly for such a long time. Then I saw this article on Buzzfeed featuring something called ‘slab pie’ that basically changed everything for me. I had never heard of baking a pie into a sheet pan before, but it seemed (and looked) like a fantastic idea. I mean, just say it out loud will you: Slaaaaaab… Piiiiiie. Doesn’t the sound of it just make you want a huge, thick slab of it all to yourself (pun intended)? I certainly felt that way. Slab Pie was calling my name. I had to answer. The problem was, I would need a whole LOT of pie crust to pull it off- and I didn’t really feel like buying a whole bunch of store-bought pre-made pie crusts, then trying to roll them all together to make two 15 x 10 inch layers for both top and bottom of the pie. Not when I knew it would be cheaper and more efficient to just try to make them on my own. I know that by now, you probably want some of this pie. You’re probably thinking about how much of the ingredients you already have at home. If you’ve never made pie crust before, you’re probably wondering if it’s really that difficult to pull off, or that easy to mess up. It’s okay guys. I’ve been in your shoes before. Let me walk you through this. If there’s anything I’ve learned from this experience, it’s that the single most important thing you can do in making pie crust from scratch is this: freeze your butter. Let me repeat: freeze… your…butter. Throw it in the freezer overnight. Leave it there until the very moment you’re ready to handle it. Don’t take it out an hour before you want to make the crust to ‘thaw’ or soften. It’s not necessary. All you’ll need to do with it, is use a box grater, then run the ice cold sticks of butter over the large grating grill so that it comes out the other side in solid, curly strands. These strands are going to become your best friends. Why? Because they’re what’s going to keep your pie crust nice and flakey to the point where it will melt in your mouth after it’s done baking, that’s why.. After the butter is grated, the pie crust is pretty simple to put together. If you’re not using a food processor, I would also recommend using a rubber spatula to work the dough together, as hands conduct unnecessary heat into the dough. Guys, this pie came out so good. Really, it did. The making of the pie crust was a little extra labor, but me and my entire family all agree: it was well worth the result. And even though the recipe yields a lot, I still wouldn’t be surprised if you still ran out of it. This is one of those foods that you don’t want to share. You just want to hog it all to yourself to make sure you get as much as possible. Could be why I’ve already made this twice: a triple berry version, as well as an all raspberry version. Both were delicious. Both are all long gone. Guess it’s gonna be time for me to make another one pretty soon, huh? I’m thinking caramel apple. Or maybe strawberry rhubarb. Or how about sour cherry? 1. Make crust: In a food processor, pulse flour, salt, and sugar until combined. Add butter; pulse until mixture resembles coarse meal, with a few pea-size pieces of butter remaining. 2. With machine running, add 1 cup ice water. Pulse until dough is crumbly but holds together when squeezed (if necessary, add up to 1/2 cup water, 1 tablespoon at a time). Do not overmix. Divide dough into 2 disks; wrap each tightly in plastic. Refrigerate until firm, at least 1 hour (or up to overnight) . 3. Preheat oven to 400°. Make filling: In a large bowl, toss together blueberries, cornstarch, sugar, and lemon zest and juice. 4. On a floured work surface, roll out 1 disk to a 12-by-16-inch rectangle. Place in a 10-by-14-by-1-inch rimmed jelly-roll pan. 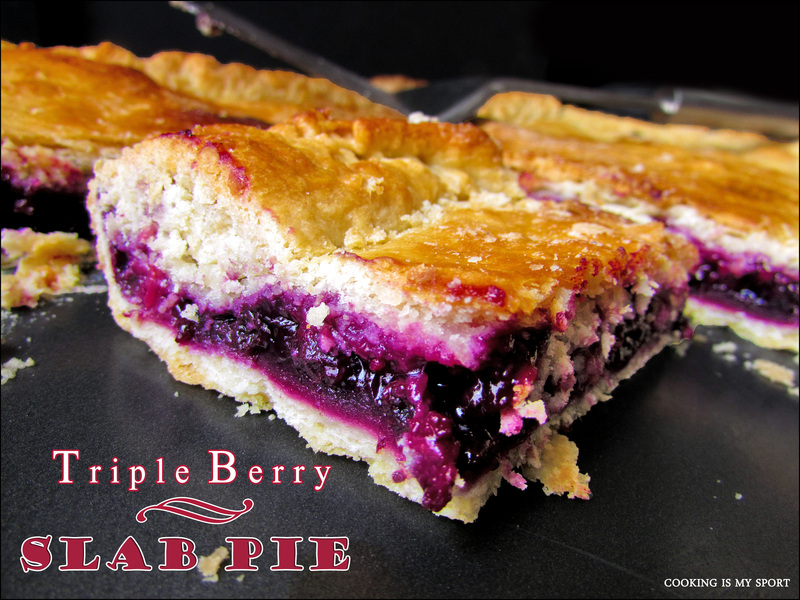 Pour in berry filling, then lightly brush edges of crust with water. You’re welcome, thank YOU for the compliment! This looks huge and amazing! I’ll play around with the recipe and make it a bit smaller (a household of 3 people and a dog can only eat so much). Love the combination of berries! Love this! That crust looks incredible. YUM! Amen sister on this post. One should not feel shy about bragging on homemade pie crust! I love the name of this recipe, too . 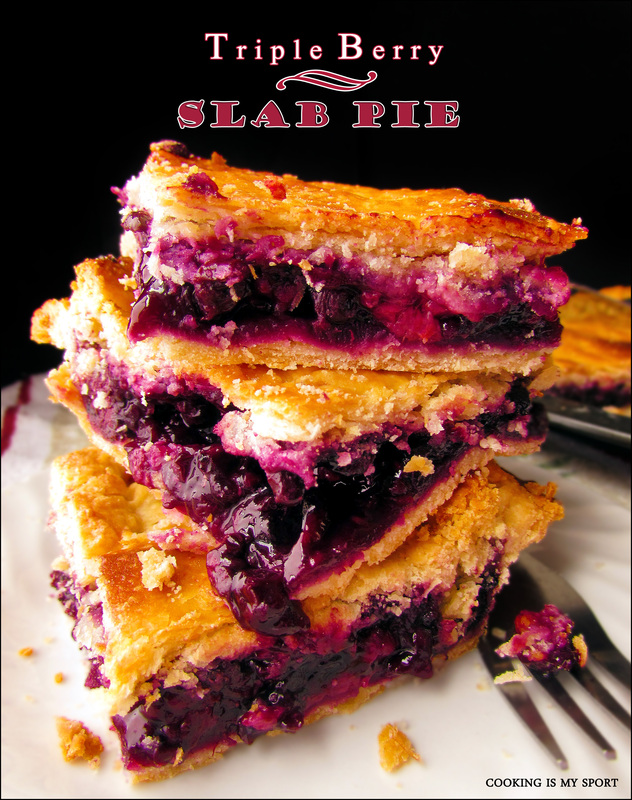 . . “Slab Pie.” Just sounds so hip and lip smacking good. Not dainty, but really filling and delicious. Oh it’s definitely not dainty, but it IS delicious. Who wants to be dainty with pie anyway? lol Thank you! I know, I’m not dainty anything . . . tomboy born and bred. I try but it doesn’t work! Thanks for comment and have a great weekend! Yum! 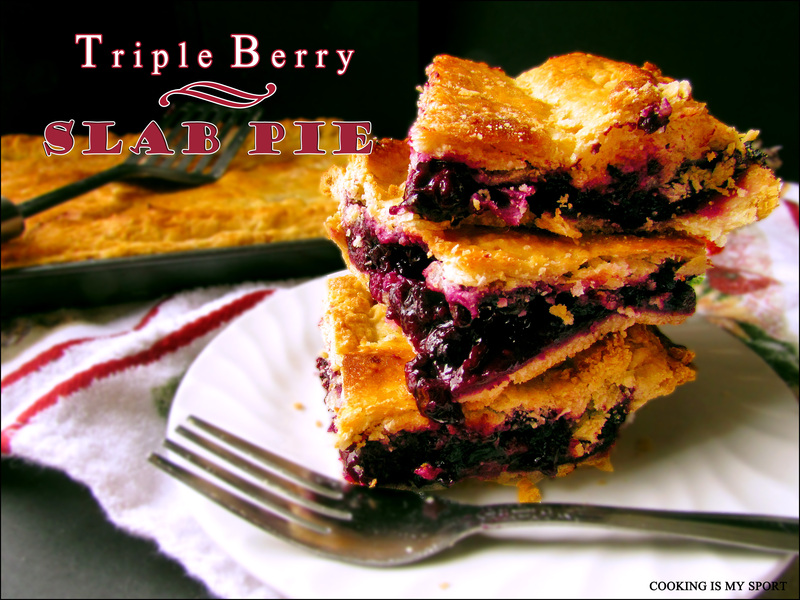 What a great berry dessert for summer! This was my first time too, and the result is SOOOO worth it! Thank you! This looks amazing! 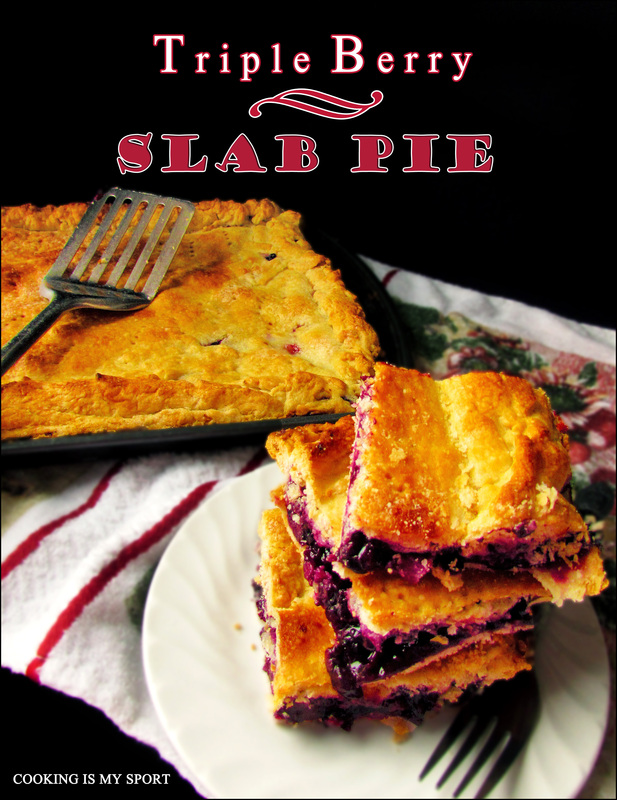 I have never heard of slab pie before. I will definitely be making one sometime this summer. Love the three berry combination, one of my favorites. Definitely congrats on achieving the perfect crust, it absolutely takes work. I grate my frozen butter too, really seems to do the trick. Well done, Jess! This looks delicious. Thank you for the compliment, this is one of my new favorite recipes! It tastes every bit as good as it looks, trust me! And yes, my pie obsession is deep and all encompassing as well lol Thank you! Welcome to my world! Serious cake though .. I love pie! Especially fruit pie, I mean who doesn’t love pie! I have never heard of slab pie. This looks so good!! I’d never heard of it either before making this, but I think it’ll be my favorite way to eat pie from now on. Thanks! This looks so yummy! And I definitely know what you mean about cooking and baking successes stroking your ego – I often joke with my friends that they have to give me feedback on my baked goods because it’s where all my self esteem comes from, I’m only half joking though! Posted	 June 8, 2014 at 7:30 pm by Ngan R.
Wow, looks completely amazing, Jess! My mouth is watering just thinking about that lovely pie crust and berry filling. Well-done! Thanks Ahila, the taste doesn’t disappoint either! 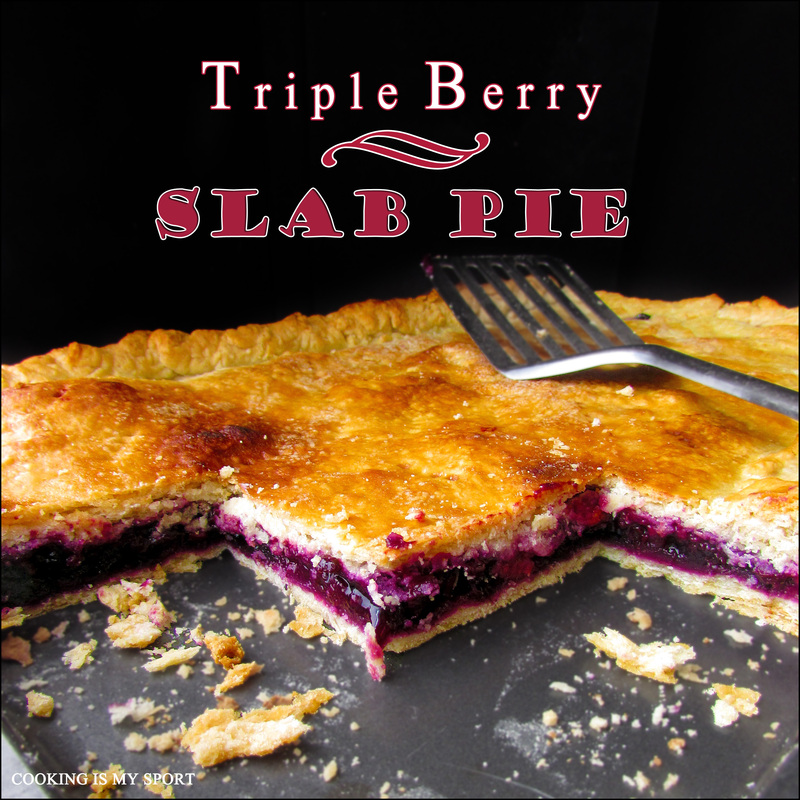 And this slab pie looks so yum – so perfect for FF! 🙂 Hope you have a wonderful week! Thanks for the ‘hot’ tip with freezing the butter and then grating it. 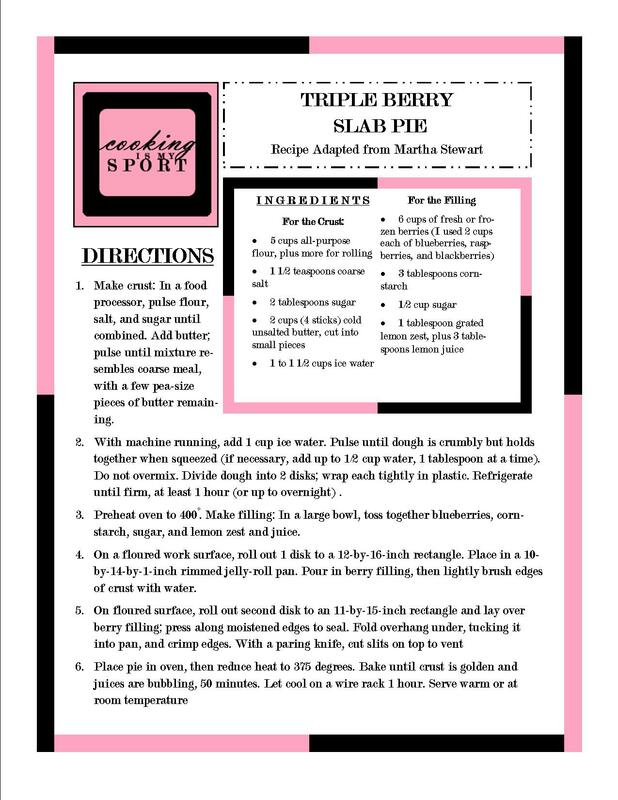 Oh my goodness this looks delicious and your directions make managing a pie crust seem less daunting… I still think I’ll wait until I’ve mastered gluten free biscuits before I try pie, but glad to know this recipe is out there! Jess what a beaut of a post and what a lovely recipe that is! Well done you. Will be trying this for sure! Jess what a beautiful post and recipe! Will be trying this very soon! Looks delicious – love all the berries!